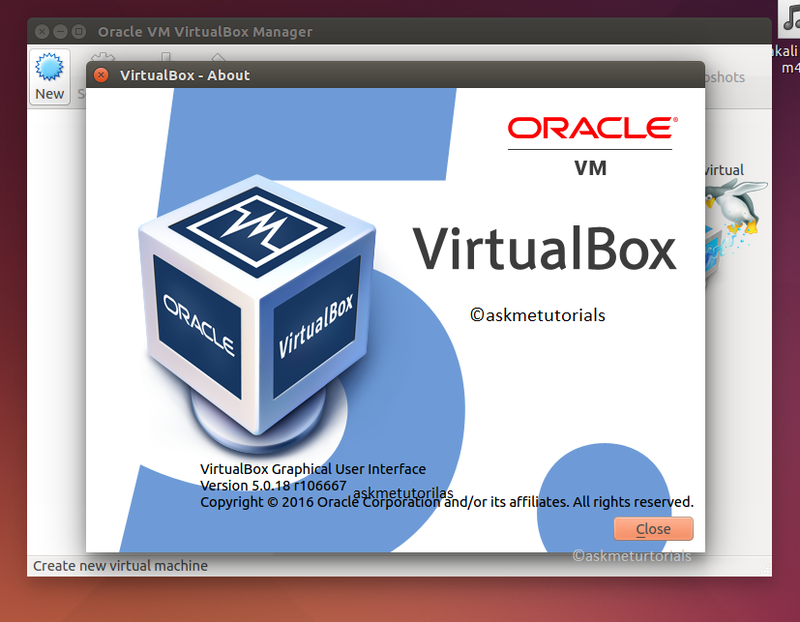 Virtualbox is an Open source application for running operating systems virtually in your base system,with this application you can create and run multiple Operating systems virtually in your PC. Virtualbox available for Multiple operating systems (ie) windows,Solaris,MacOS-X and Linux. This version of Virtualbox 5.0.18 includes support for Linux Kernel 4.6 which is under development (RC4) and the addition of a Linux kernel graphics driver to support GPUs when X.Org Server doesn't have administrative rights. sh -c "echo 'deb http://download.virtualbox.org/virtualbox/debian '$(lsb_release -cs)' contrib non-free' > /etc/apt/sources.list.d/virtualbox.list"